2. Windows-based Desktop, Laptop, or Notebook. Anyone can play in one league for free with no restrictions. This is our long-standing policy. The pioneering baseball sabermetric research published by James was the primary inspiration for the simulator’s development, including his so-called Log5 formula to predict the outcomes of batter-pitcher matchups. The simulator uses a complex variation of the Log5 to adjust probabilities for batter/pitcher splits and situations like home-road, left-right, and base-running configurations (e.g., runners in scoring position) in order to achieve the most reliable predictive outcomes. Of these, the left-right splits figure most prominently. Home run numbers from the Dead Ball Era are processed by an additional set of routines to account for the fact that parks from that era often had either no fences or obscenely large outfield dimensions in comparison to the modern game. Defensive probabilities take into account the dimensions of the home team’s park and the ground-fly tendencies of its pitchers. Broad application of the Log5 requires a tremendous volume of data. For this reason NSB maintains its own proprietary database schemas instead of those created and maintained by Sean Lahman. Split stats and situational stats are culled from play by play files published by Retrosheet. 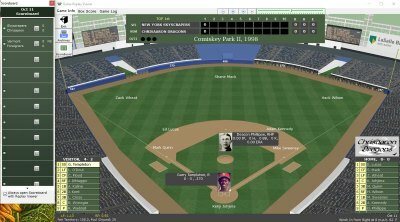 Now fully integrated with our online SQL database, Nostalgia Simulation Baseball is a powerful baseball simulation game designed for baseball enthusiasts. Our product offers you a challenge: succeed as a baseball owner by creating a winning franchise. In our free sim leagues you manage all aspects of your team from the front office to the field and compete live with other owners for the league championship. Available leagues span from the dead ball era to the present. The feature rich software package gives you expert control over all player settings, strategies, finances, drafts, trades, waivers, award voting, and communicates seamlessly with our server. Our proprietary database holds 570 stats for every player from 1893 - present, including available home-road and left-right splits. Our free simulation software gets consistently high praise for statistical accuracy and first-rate product support. The simulator takes on board a wide array of variables that regulate and normalize player match-ups across 125 years of baseball history. And speaking of history, everything we do in our sim reflects passion for baseball's great history. That's why we called it Nostalgia Sim Baseball. 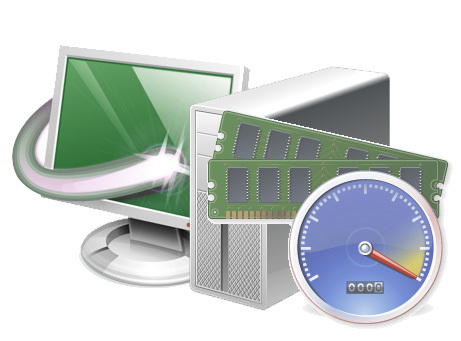 Our windows application is available to you as a free software download that runs on your PC. The sim is not web-based. Our website is but the portal into our fascinating baseball universe, where a dedicated cadre of members connects. Since anyone can play in one of our sim leagues for free, there's no reason not to try us out. We think your agree that our baseball sim is among the best baseball sim experiences you can find anywhere. Don't want to play in a live league? No problem. You can design your own leagues with the custom league designer and simulate them at your pace. "I joined the community of Nostalgia Simulation Baseball several years ago. It's an addictive game, each season bringing new challenges. NSB allows a multitude of sophisticated controls over all aspects of managing a baseball team. And the weekly reports and box scores will satisfy the most insatiable statistics appetite." "I'd like to say how much I enjoy NSB. I've played other fantasy baseball games but NSB is the best. You get to choose players from the 1890's up to today. You get to set the line ups and pitching rotations in different ballparks. Many of the other managers have played NSB for several years and they're both friendly and helpful. Again, NSB is the BEST." ""NSB is the absolute best baseball simulation out there. I've tried a few other simulations and none touch what NSB provides. For those with a passion towards baseball and all it's history, stats, and entertainment... this is the game for you!"" Members play by downloading a PC-based software package. Custom leagues can be designed to simulate selected teams from 1893-present. However, most members choose to participate in live leagues which run at the pace of several seasons per year. The game offers the long-term challenge of creating a winning franchise. Playing the roles of both owner and manager, members control all aspects of team development from the front office to the field in leagues that span from the dead ball era to the present. The owner's software package provides control over all operations, uploading settings to the server before game time and afterwards retrieving results.